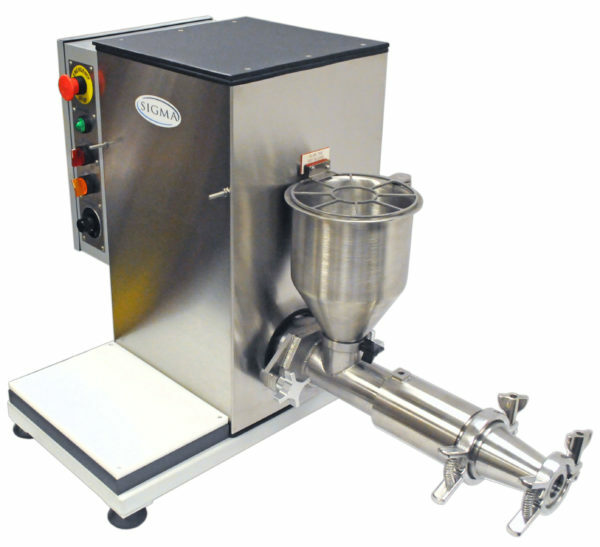 Model LE-2 and LE-2.5 Laborahis machine is comprised of ory Soap Extruder/Refiners are bench top units used for making small soap bar samples. 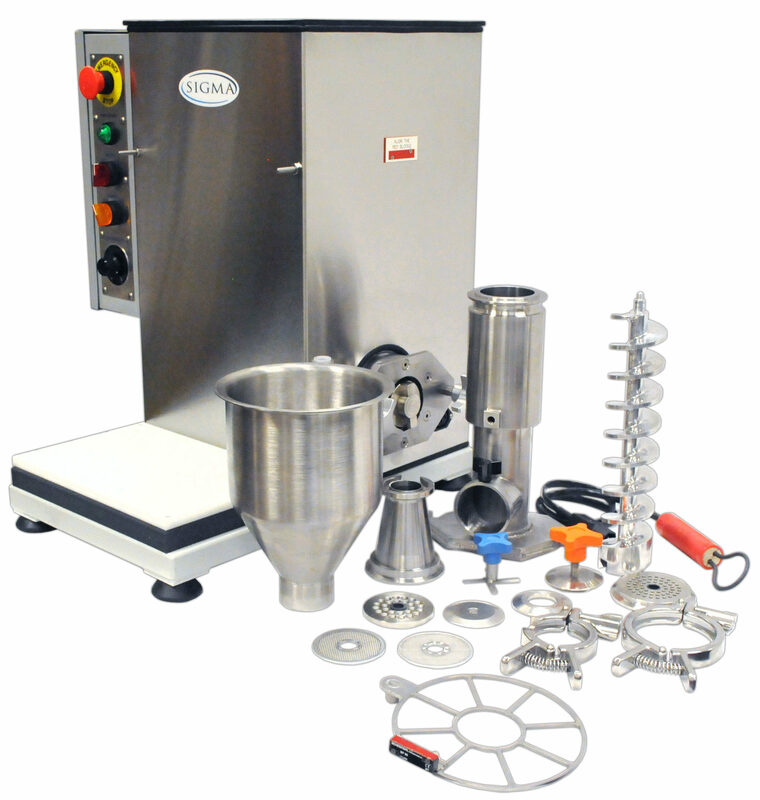 The machines are compact and require only single phase 115 volt electrical service (or 230 single phase at 50 hz). Plumbing is not needed. 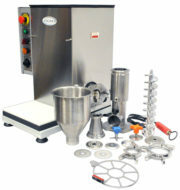 The machine is easily assembled and disassembled without the use of any tools. All product-contacted parts are stainless steel and the machine cover is also stainless steel. The model LE-2 can make bars to a maximum of approximately 30 grams using approximately 300 grams of soap base. The model LE-2.5 can make bars to a maximum size of approximately 60 grams using approximately 1 kilogram of soap base. Various refining screens are included with the delivery and other sizes are available.